Using our other USC properties as a benchmark we knew if we repositioned the building as student housing that post-renovation rents would at least double. The property was acquired for $1,080,000 with $432,000 down payment and $648,000 of debt. To facilitate the acquisition and renovation, Iconic raised a total of $810,000 from investors budgeting $310,000 for renovations and remodeling, and an operational reserve of $68,000 for debt service and other expenses. When we acquired the property, it was comprised of four two-bedroom units, and two one-bedroom units, with a total of 10 bedrooms. Bedrooms are the key income metric for student housing. Following years of inefficient management, the property suffered from significant deferred maintenance and neglect. With years of experience in the USC market, we knew the property was well-suited for student housing use. We worked with our architects and engineers to re-design the building. We reconfigured unit floor plans to increase bedroom count from 10 to 15 and improved common spaces. Property renovations included comprehensive work to both interiors and the exterior of the property, as well as upgrades to key building components. Unit interiors were upgraded with all-new flooring, paint, recessed lighting, and decor. Kitchens were updated with new custom cabinetry and quartz countertops, stainless steel appliances, and professional-grade fixtures. Bathrooms received new floor and wall tiling, large walk-in showers, and modern-style floating vanities, and modern design fixtures. 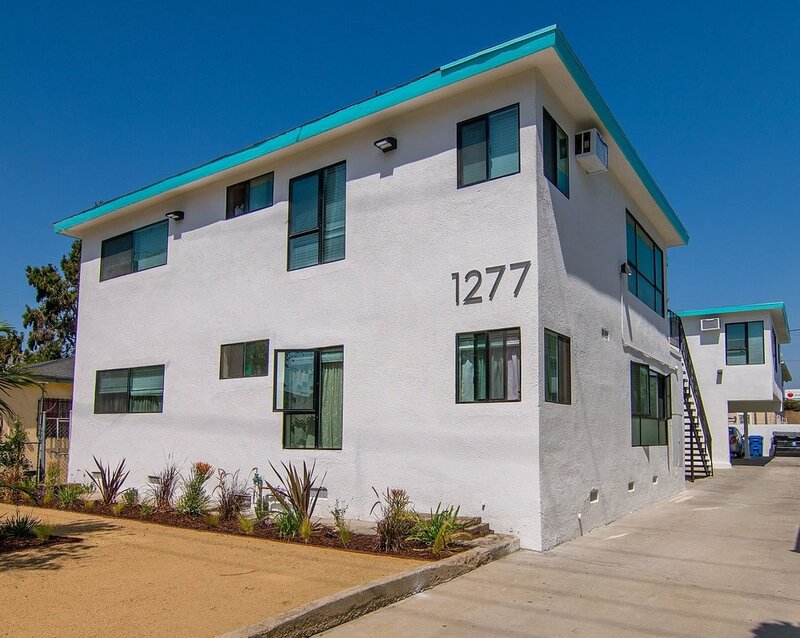 The exterior of the property was improved with new stucco and all-new energy efficient Milgard bronze aluminum frame windows, as well as improved lighting and security gates. Key components of the building were also updated, with new air conditioning and heating units, completely updated electrical main and sub-panels and new high-grade wiring, providing tenants with ample electrical service. All new copper plumbing and ABS drain systems were also installed. The renovation process was completed over a 90-day period. 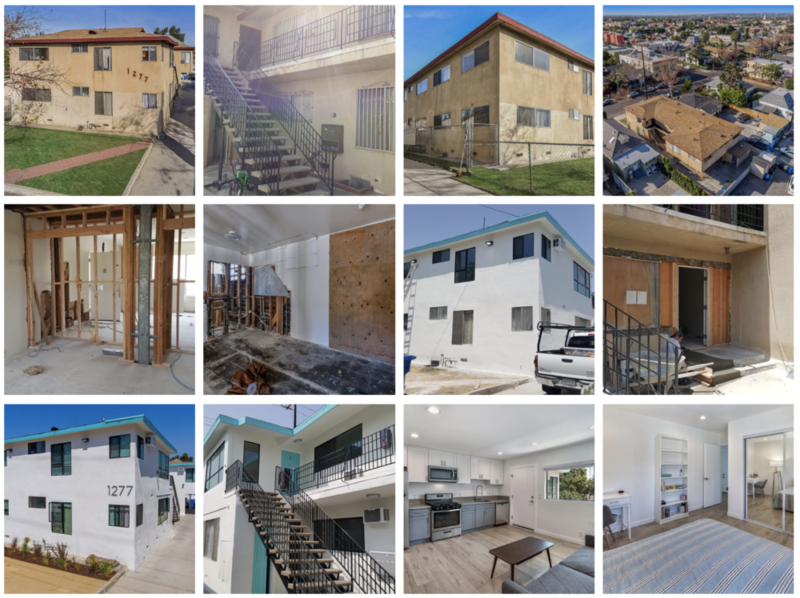 Following completion of the remodel in mid-July 2018, the property was successfully leased up and fully stabilized by August 1, 2018. Rents increased from an average of $919 at purchase to $2,530 average.